Hello! I hope you are all having a lovely Sunday. 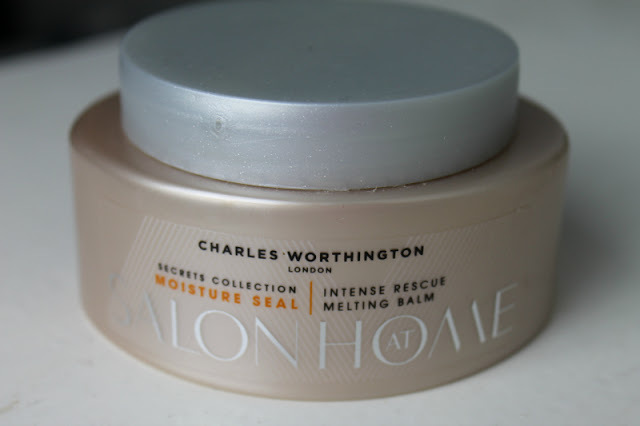 I bought the Charles Worthington Intense Rescue Melting Balm nearly 6 months ago now, so I thought I would review it for you! 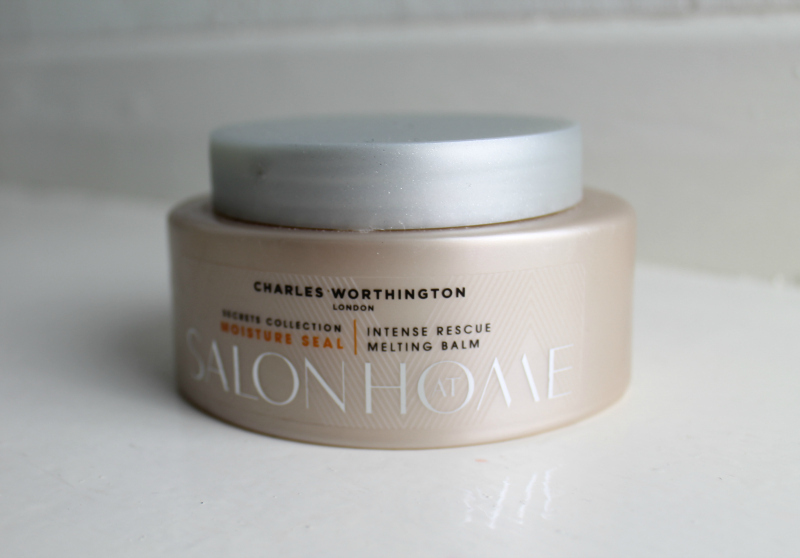 The Charles Worthington Salon At Home range is basically just their more expensive range. All of the products look lovely and sound perfect for my thick, dry hair so I picked a couple up. 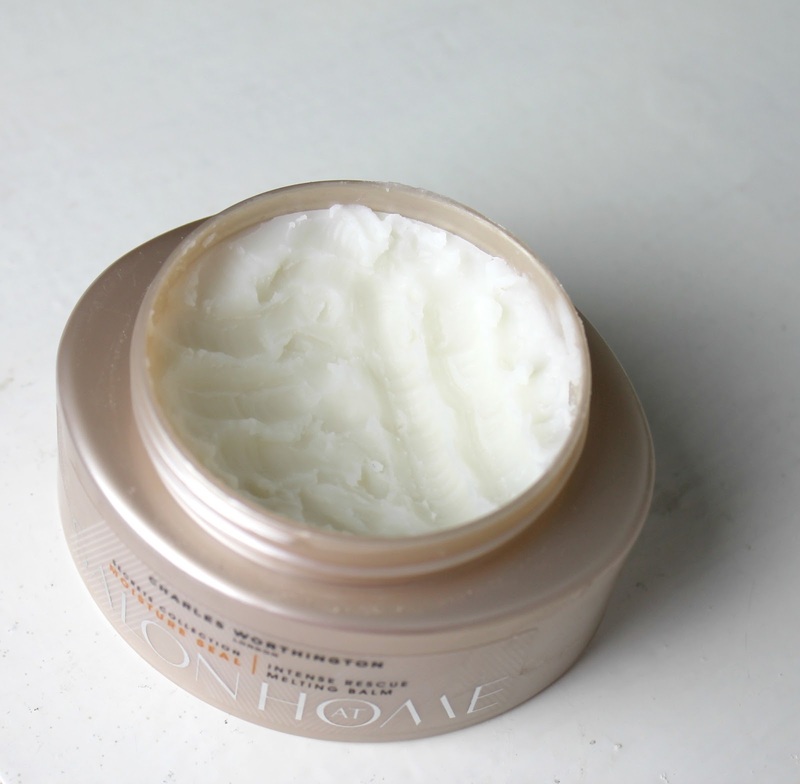 The melting balm is aimed towards dry hair to moisturise and nourish it. You apply it to dry hair, leave it for about 20 minutes and then shampoo and condition as normal. I was expecting the product itself to be creamy and almost buttery in the pot but it is completely the opposite! It is so difficult to get out. If you can see in the photo below, I literally have to scratch at it and (however silly this sounds) it hurts my fingers! It's very solid and does take me quite a while to get out. Once I rub my hands together to warm it up though, it melts into a lovely oil. You can see some of it already melting in the photo above! I keep this only on the lengths of my hair, not up to the roots because my hair can get greasy. I usually use this when I can leave it on for a long time. The other day I popped this in my hair, tied it in a bun and left it for about 5 hours. 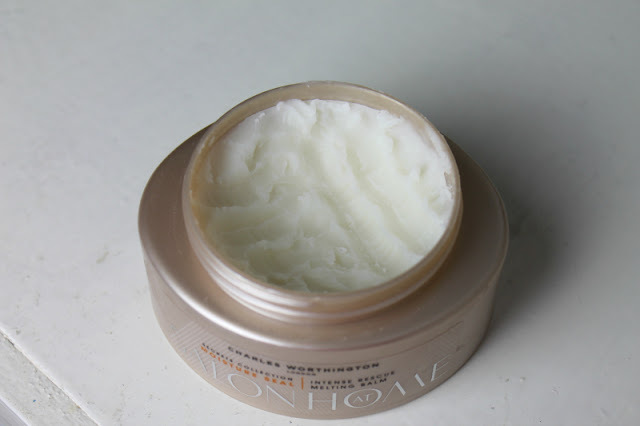 When I rinse this out of my hair, I can instantly feel the difference! I can honestly say, no hair mask/treatment has ever left my hair feeling so soft, light, bouncy and incredible as this does! When my hair is feeling dry and in need of some moisture, this is my favourite, go to product that I can rely on to add some nourishment and hydration into my hair. My only negative, like I said earlier, is that it is so solid and difficult to get out of the pot! It is completely worth that though because it leaves my hair feeling unbelievably soft. I am utterly useless at remembering to use hair masks/treatments so I definitely don't use this as often as I should. It is so amazing though that it makes me want to use it a lot more than I would usually remember, so I probably end up using it a couple of times per month! I also bought the Moisture Seal Overnight Healer at the same time and gave it to my mum for Christmas! She has let me use it quite a lot though so I will be reviewing that soon too if you would like. Have you tried anything from the Salon At Home range? I would love to know what you think! I've been wanting to try this ever since Fleurdeforce first mentioned it, but I never got round to purchasing it. I'll definitely have to stop by Boots at some point in the near future. Great review! I have been wanting to try this for a while now..
After this review I just might!! I really want this. Great review. I've only heard good things one this. Great to meet you yesterday. Wow, what a shocking product! Never heard of a hair product with this texture! looks awesome! I think I need it! This sounds great! My hair is so dry at the moment, might have to give this a try! Hi Becky, I definitely want to try this! I definitely need to give this a go, my hair is feeling all horrible and dry lately and this looks like it could really help! Oooh this looks really interesting, I will definitely be trying this out! !